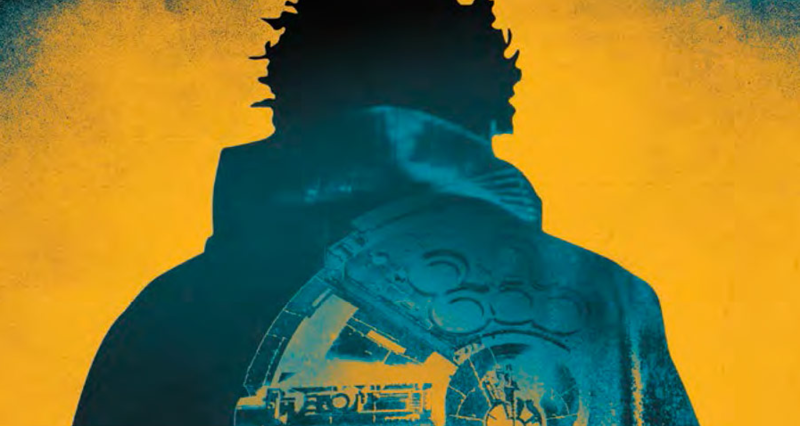 Mike: Recently we ran a fascinating guest piece by Eric Farr that unpacked the suggestion in Solo of a sexual relationship between Lando and L3-37—or at the very least, Elthree’s claim that such a thing is possible. The extent to which any given droid in the Galaxy Far, Far Away is truly conscious and self-aware has always been a little muddled, so the notion of droids consenting to sexual activity (as opposed to simply being programmed for it) is pretty complicated ground for Star Wars to be covering, and any conclusions are bound to be highly debatable. And debate we did: as with many great pieces, a very interesting conversation unfolded in the comments over the following couple weeks between myself, Eric, and two other ETE regulars, Vincent Cagliuso and John Maurer. The discussion backed up a bit from Eric’s original topic and looked more broadly at whether droid rights are something that should be addressed at all, or if to do so would only unravel the basic premise of the universe—many of our heroes own droids, after all. At one point Vincent posed a simple question that stuck out to me as a perfect encapsulation of the problem—particularly because it wasn’t about Elthree. There’s a lot going on with her that can be debated in and of itself regardless of how one feels about droid rights as a concept, so I thought I’d pose his question to the rest of the staff as a means of getting at the core issue and avoiding the need to rehash our feelings about Solo specifically. So here’s the question, guys: Padmé Amidala owns a protocol droid. Said droid is absolutely drowning in personality; if any droid is self-aware, it’s this one. Upon Padmé’s death, Bail Organa takes possession of this droid, decides it knows too much, and promptly gives it a mindwipe. Is Bail Organa, hero of the Rebellion and beloved father of Princess Leia, a monster? » Read more..
Nine seasons of television are a hell of a time commitment, and for me at least, nine novels even more so—but at the moment I have every intention of sticking around, and once the show is over I plan to spend six months or so reading the novels. 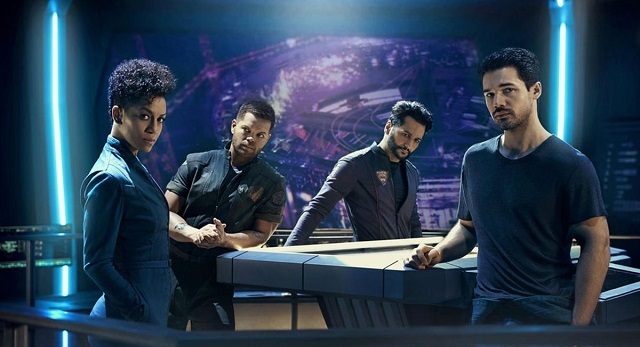 What makes The Expanse so compelling, and what qualifies it for precious column inches here on a Star Wars blog? Let’s discuss. » Read more.. So what is it about this guy that’s driven me to latch onto him? Well, for one thing, I think Lando’s actually a pretty widely misunderstood character. The flirting and the gambling most people know him for, to pick a random metaphor off the top of my head, are like capes: ornamental details calculated to cultivate a certain impression while also concealing what’s really going on underneath. » Read more..
One of the biggest early distinctions between the Expanded Universe and the new canon was how quickly the Empire appeared to collapse. This was partly due to Timothy Zahn and others having a freer hand in interpreting Return of the Jedi‘s happy ending than Chuck Wendig did when writing Aftermath, but more broadly, the EU and its foundation in the worldbuilding of West End Games tended toward a “maximalist” view of the Galaxy Far, Far Away. This means, speaking very roughly, that the million worlds or so which comprised the Empire were treated, for the most part, like a million Corellias—the Empire was a tightly-knit society with a largely cosmopolitan shared (read: imposed) culture linked by a pervasive HoloNet. A hardened state whose leader was genuinely supported by most of his people, and who had a million Corellias’ worth of capital ships floating around to do his bidding. The tactical significance of Palpatine’s death was in the blow to Imperials’ morale and cohesion, but the vast majority of them remained Imperials. Their defeat was a fifteen-year game of Risk: countless military engagements and a slow chipping away of territory and resources until surrender and extermination were the only choices left. In the new canon, on the other hand, “galactic society” is a much looser concept, and the Empire was more akin to a house of cards. While initially popular, of course, and still performing the role of a benevolent leader when necessary, Palpatine saw the Death Star as a means of keeping everyone in line, not just a fringe of Rebel hotbeds. He strung the Imperial Senate along for twenty years on the expectation that Krennic and/or Tarkin would eventually deliver his trump card, and when he dissolved and arrested the Senate only to lose the Death Star immediately afterward, in a sense, that was the ballgame. Dissent was everywhere now, and while the fleet was indeed mighty, no canon military force could have maintained order on a million unruly worlds at once. » Read more..